After nearly five years of delays, frustration and evidence battles, the trial in the kidnapping and killing of 15-year-old Sierra Lamar began Monday with the prosecution's opening statement. Sierra disappeared in March 2012 on her way to a school bus stop in Morgan Hill. Antolin Garcia Torres, now 25, is charged with kidnapping and killing her. Prosecutors are seeking the death penalty for Garcia Torres despite the fact that Sierra's body has never been found. Sierra’s parents were in the courtroom, where they heard details about her disappearance and the prosecution's contention that DNA evidence found in Garcia Torres' car and on Sierra's clothing prove he killed the teen. Lead prosecutor David Boyd told the jury that a responding deputy noticed a strong smell of urine on her jeans, found less than 3 miles away from her bus stop on Palm Avenue in Morgan Hill. Boyd also referred to a sweatshirt and undergarments that indicate the girl was naked and dead. 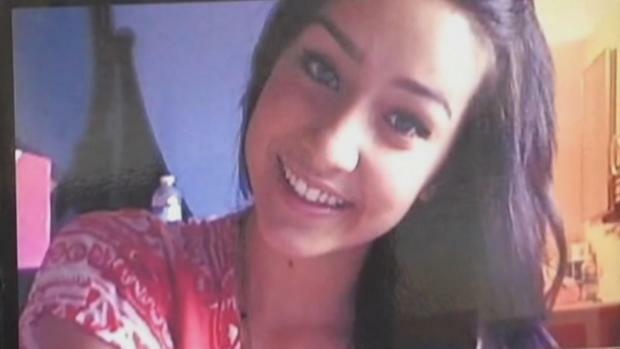 After nearly five years of delays, frustration and evidence battles, the trial in the kidnapping and killing of 15-year-old Sierra Lamar began Monday with the prosecution's opening statement. Cheryl Hurd reports. Boyd told the jury he believes a strand of Sierra’s hair was found on a rope allegedly found in the trunk of the defendant’s car. He also said there is evidence Garcia-Torres bought a turkey baster and bleach three days before Sierra disappeared, planting a seed that the crime may have been premeditated. The prosecution also played the 911 call Sierra’s mother made to report her disappearance. Boyd warned the jury that the defense likely will say that Sierra ran away. After court let out Monday, Sierra's father, Steve LaMar, made a brief statement without answering questions about the case or his daughter. "It's been an emotional day for us, we're all exhausted," he said. "Sierra's family and Sierra's friends, the hundreds of searchers that have helped us search for Sierra are all glad that this day has finally come." The prosecution will continue with its opening statement Tuesday morning. Then the defense will get its turn. The defense has indicated it will argue that Sierra is a runaway and still alive.